D.C. medical marijuana regulations expected to take effect April 15 | Jon Katz, P.C. 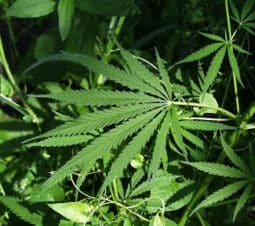 Update: April 18, 2011- D.C.’s medical marijuana regulations are here. D.C. Mayor Vincent Gray announced on April 6, 2011, that medical marijuana regulations have been finalized, to take effect April 15, 2011. The regulations will not be available before April 15, despite my efforts to obtain the current version today through D.C. government information people including those listed in the mayor’s online news release. All I received back was the April 6 news release that I already have. I replied asking whether the final regulations are similar to the detailed second proposed regulations issued on November 12, 2010, at 57 D.C. Reg. 10529, which take into consideration public comments responding to the original rulemaking issued on August 6, 2010 at 57 D.C. Reg. 7003. I very much hope that the final regulations will go beyond the last November 12, 2010, rulemaking, as to covered ailments, which does not cover more than HIV/AIDS, glaucoma, cancer, and "conditions characterized by severe and persistent muscle spasms, such as multiple sclerosis." However, D.C. mayoral assistant Janene Jackson’s email below says: "I do know that there was no change to covered ailments." Other conditions crying out for allowing marijuana for medicinal purposes include, but are not limited to, sleep apnea, depression, anxiety, and orthopedic pain and post-operative pain. Mr. Katz, Thank you for assisting the public and the Mayor with getting this information out to as many people as possible but, unfortunately, you cannot post the regulations on your blog until they are published by Secretary of the District of Columbia in the DC Register the week of April 15th. Several ailments are covered by the legislation and those ailments are reflected in the regulations. I do know that there was no change to covered ailments. Thanks. I wish to post on my below-linked blog the latest version of the regulations, rather than waiting until April 15. Other than the administering agency having been changed to the DC Department of Health, are the final regulations similar to the draft regulations published in November 12, 2010? Do the final regulations cover any ailments beyond HIV, AIDS, glaucoma, cancer, and severe and persistent muscle spasms?. Thank you, Jon _______________ JON KATZ, P.C. Criminal Defense Lawyer MD, VA & DC (301) 495-7755, Silver Spring, MD (703) 917-6626, Tysons Corner, VA Blog: https://katzjustice.com/blog Se habla espaÃ±ol / On parle franÃ§ais. CONFIDENTIALITY NOTICE: This e-mail is exclusively for the intended recipient, and retains its intended confidentiality. If you receive this communication in error, please notify the sender. This message does not create an attorney-client relationship. Thank you. Please tell me if the regulations will be similar to the draft regulations published on November 12, 2010 at 57 DCR 10529. If the mayor says there are finalized regulations, I think that it doesn’t say much about open and transparent government not to provide the public with the current version now. Se habla espaÃ±ol / On parle franÃ§ais. CONFIDENTIALITY NOTICE: This e-mail is exclusively for the intended recipient, and retains its intended confidentiality. If you receive this communication in error, please notify the sender. This message does not create an attorney-client relationship. Thank you. The medical marijuana regulations will be published in the DC Register the week of April 15th.